It hasn’t been a good week for Hillary Clinton. It started with her describing half of Donald Trump’s supporters as belonging in a “basket of deplorables … racist, sexist, homophobic, xenophobic, Islamaphobic, you name it,” and ended with her having to spend three days recovering from a mild bout of pneumonia. What made matters worse was the amateur video showing her wobbling as she got into her car after leaving a Ground Zero 9/11 memorial service, and having her doctor reveal that she had diagnosed Mrs Clinton with pneumonia two days before the incident. The illness and its aftermath, which had Donald Trump wishing her well and looking forward to seeing her at the first debate, were a godsend for the Republican candidate, with the latest national polls showing Trump on 46 per cent to 44 for Clinton. 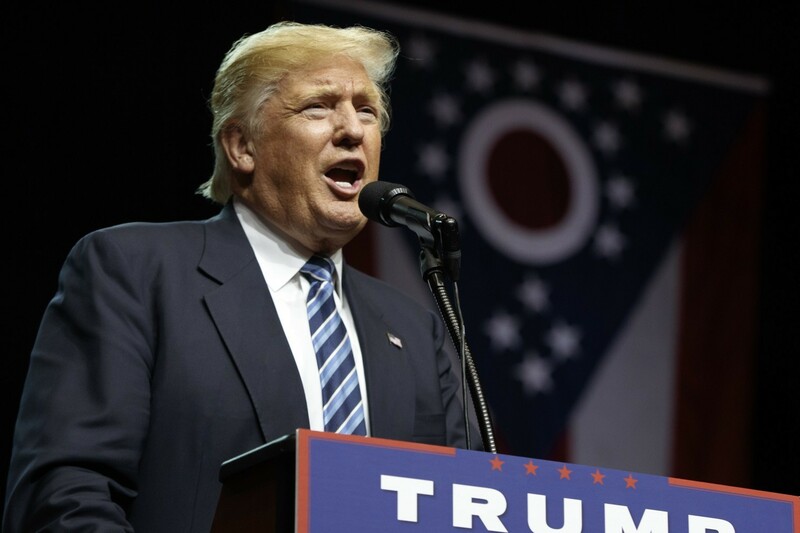 An earlier poll had Trump 5 points ahead in Ohio, a state that in recent presidential elections has always picked the winner. In a country that spends a lot of time worried about health (just watch the medication ads on American television), and its many citizens who suffer from all kinds of illnesses, as well as hypochondria, the health of its president is paramount. Hillary Clinton was first to produce a clean bill, even while she was on her sick bed, with her doctor, Lisa Bardack, saying she “has not developed new medical conditions this year other than a sinus and ear infection and her recently diagnosed pneumonia. She is recovering well with antibiotics and rest. She continues to remain healthy and fit to serve as President of the United States.” Whew, breathed the Democratic National Committee, who would have had to choose another candidate if Secretary Clinton had to withdraw from the race. Game tied, with Trump admitting he should lose weight, and Hillary Clinton back on the campaign trail, telling supporters in North Carolina: “I recently had a cold that turned out to be pneumonia. I tried to power through it, but even I had to admit that maybe a few days’ rest would be good. I’m not great at taking it easy even under normal circumstances, but with just two months to go until Election Day, sitting at home was just the last place I wanted to be.” You can see from the photo above by the Washington Post’s Melina Mara, Secretary Clinton looks well. The health issue is not going to disappear before election day on November 8. Hillary Clinton will be scrutinised every time she goes to a rally or gives a speech, especially at the three presidential debates. And health problems can lead to the withdrawal of a candidate. One of the most famous withdrawals occurred in 1972 when the Democratic Senator from Missouri, Thomas Eagleton, was forced to resign as George McGovern’s running mate in 1972 after he revealed he had been treated three times for mental illness, including electroshock therapy in hospital. A vote for Hillary Clinton will ensure that the best instincts of the United States will be kept out of the hands of hustlers like Donald Trump. I’m also hoping that the Democratic candidate will know when it’s time to take a short break – a night with husband Bill perhaps — from the madness of a presidential campaign in the next 51 days to recharge the batteries. I’d rather have a rested Hillary Clinton than a hyped-up show pony any day. Footnote: If you ever needed evidence of Donald Trump’s line of bull you need go no further than the news overnight that he has finally admitted Barack Obama was born in the United States. But after five years of leading the birther controversy, Trump claimed that Hillary Clinton started the rumours in 2008. How low can you go? It’s not the first time he’s accused Secretary Clinton of creating the controversy, but fact-checkers in the US have repeatedly disproved his assertions.